Over the period of seven months, I was part of “Somos CaPAZes”, an NGO consisting of students and young professionals who work with disadvantaged children in Bogotá. 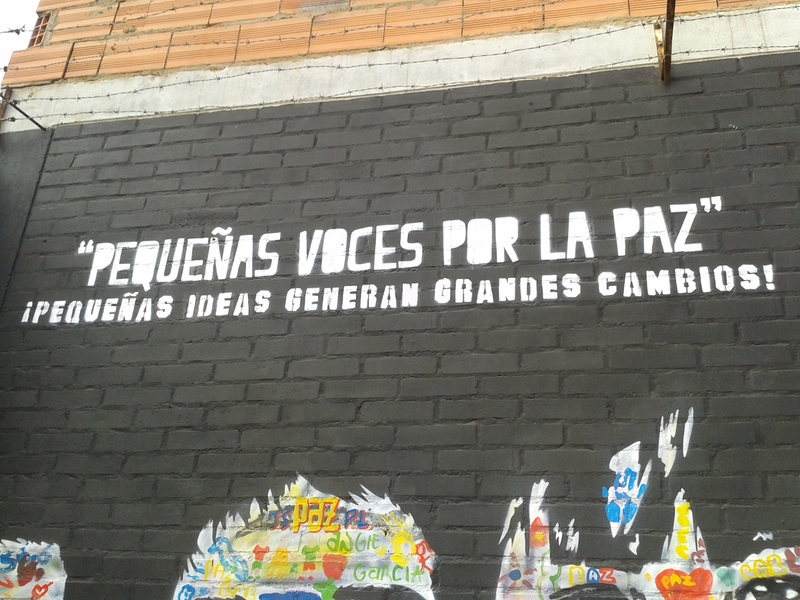 More precisely, we worked in peace education in Ciudad Bolívar, the poorest part of Colombia’s capital Bogotá. The neighborhoods of Ciudad Bolívar are known to be dangerous, many gangs are active that are involved in illegal activities, including drug trafficking, and a lot of violence, including sexual violence. In fact, many of my Colombian friends from Bogotá never have been in Ciudad Bolívar in their life – there is no reason for them to do so. Somos CaPAZes translates into English like “We can” or “We are able to” – whereby it is purposefully writing a z in capaces, thus including peace in its name. The NGO wants to give children a new outlook on the world and escape their reality that is often characterized by violence. At the same time it also provides a space for young Bogotanos from the northern part of the city to get to know another social reality of their city. The program of Somos CaPAZes is based on PEACE (Playful Explorations in Active Conflict-resolution Education) that was developed by universities in the U.S. and Canada and was translated into Spanish and adapted to the Colombian context. Every other week some 12 facilitators went to the local fundación “Pintando Caminos” in Potosí. We worked with children who were divided in three age groups, whereby I worked with kids who are 8-11 years old together with three other co-facilitators. Overall, I went to Pintando Caminos some 13 times to spend time with the kids following a conflict resolution program that is based on peace education. The idea and aim of the interventions is that the children have conflict resolution tools readily available in their daily life, particularly at home and in school, to solve conflicts peacefully, be aware of bullying and control themselves when being angry. As violence is very common in the area, the fundación offers a safe space for the children and helps them with homework but more importantly offers love and attention. However, during the process I experienced also quite some challenges. Particularly at the beginning I had troubles to understand the children, as I was still very limited in my Spanish skills, and it is particularly hard to understand children and the slang that they use. Another main problem was to actually get to Pintando Caminos. It took me every time two hours to get there and the same time to return to my apartment (other facilitators had an even longer journey). 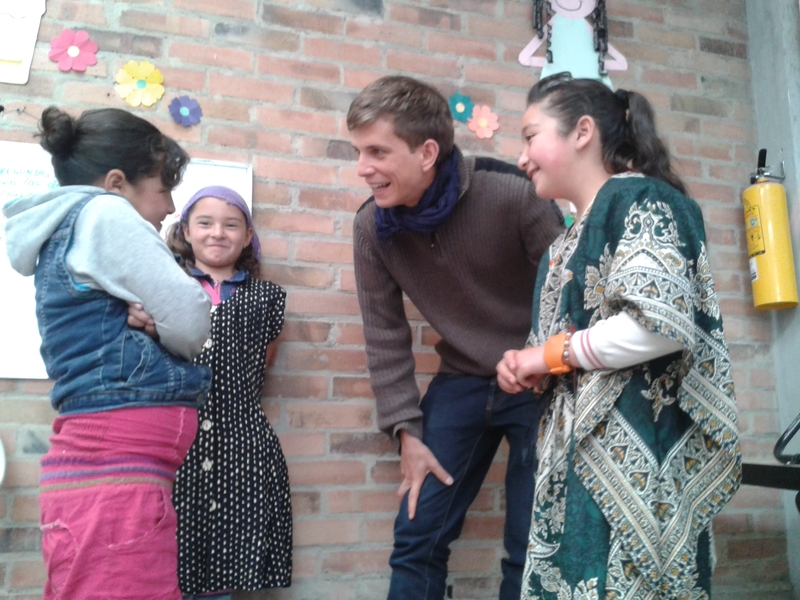 In contrast to four hours of travelling, I only spent two hours at the fundación with the children. 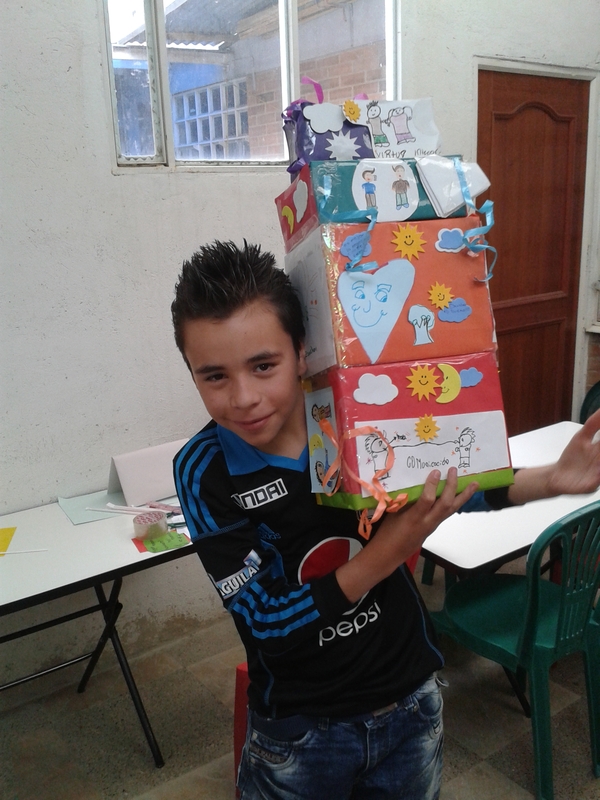 Another challenge was that I had the feeling that the concept used by Somos CaPAZes for the children was way too demanding for the children who preferred to learn playfully while the program was very much based on rather abstract concepts. As I am rather used to an academic environment and context, it was not always easy for me and my three other co-facilitators to transfer knowledge and skills in a fun way to the children. Overall, it was a very heartwarming experience. Despite getting up on Saturdays at 6am, it was very much worth to see the big love of the children towards us, the facilitators, and it was amazing to see how quickly they understood the basics of the conflict resolution program. For sure, the leader of Pintando Camino is working with these kids on a constant basis and that is laying the groundwork for a positive impact on them that motivates the children to return to this foundation. NGOs like Pintando Camino respectively the work of Somos CaPAZes is a real opportunity for the children to avoid getting involved in gangs, drug trafficking, alcohol abuse, or teen pregnancy. For me it was the first time to work with children in a conflict resolution program and it was certainly not easy for me, because I find it easier for me to work with youth and adults. It was a great experience though and I hope that many of you can have similar experiences as well. Always fascinating bro. Your writing is quite on point.